Real Capacity: 13200mah. Remarkably small for the pocket, not heavier than your smartphone. We use only premium battery cells, together with the most advanced materials and cutting-edge technology, to ensure complete safety. Xipin's T-33 10000mAh wireless powerbank is a portable power source with wireless charging functionality - perfect for charging your devices while out and about. 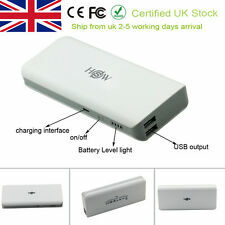 Qi Wireeless Charging. 2.4A Fast charging. Xipin's M1 10000mAh powerbank is an ultra slim portable power source - perfect for charging your devices while out and about. USB Output. 2.4A Fast charging. Over discharging protection. Over-charging protection. Riversong's Horizon 10000mAh powerbank is a work of technological art. But don't let the unique design take away from its powerful battery charging capacity and speed. Riversong is a global leader in premium smartphone accessories for smart devices. Riversong's Ray 10000mAh powerbank is an ultra slim portatable power source - perfect for charging your devices while out and about. Riversong is a global leader in premium smartphone accessories for smart devices.